This article shows a working example of using the Metric Insights API from a Qlik Sense mashup. 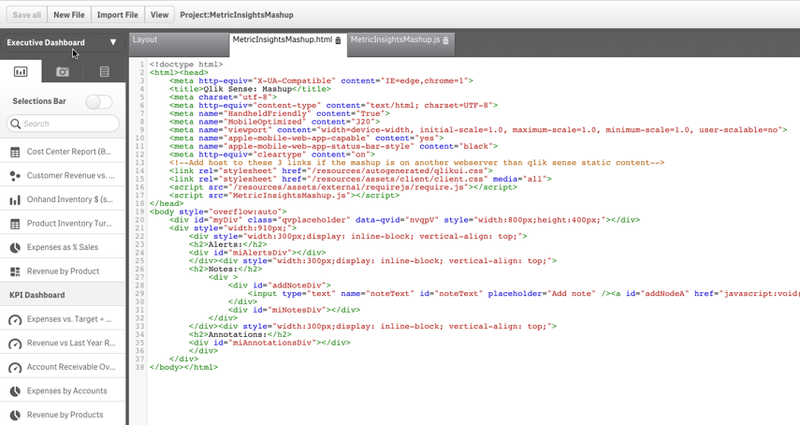 You can refer to more details on integrating the Metric Insights API call into your web app. This Qlik Sense mashup illustrates using the Metric Insights API. 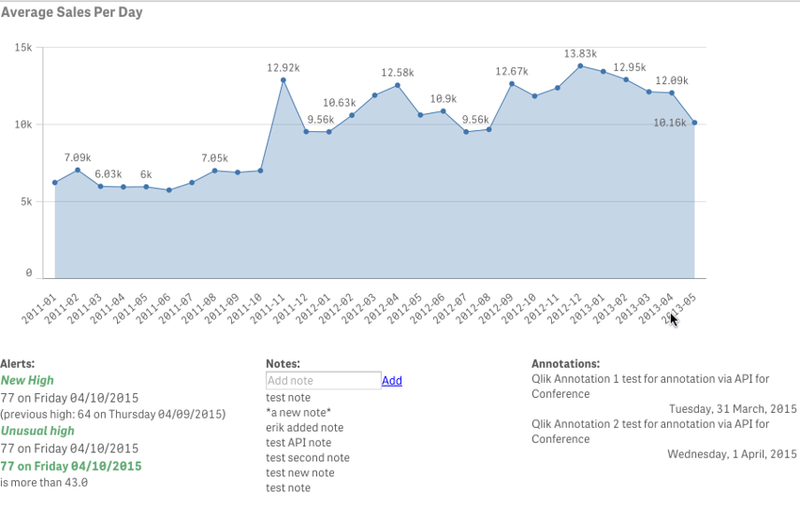 In this example, the Alerts, Notes and Annotations at the bottom are the result of calling the Metric Insights API. baseUrl: ( config.isSecure ? "https://" : "http://" ) + config.host + (config.port ? ":" + config.port: "") + config.prefix + "resources"
2. Determine which elements in Metric Insights to pull data from.